Northridge's LiveRez-powered website helps it take bookings online 24/7. The town of Sandpoint in Northern Idaho is a special place. If you don’t believe that, check out its impressive resume. With a small population of around 8,000 people, Sandpoint is somewhat of a throwback to a simpler time. That’s what makes it such a perfect fit for Jeremy Brown and Northridge Vacation Rentals. Like the town it manages properties in, Northridge Vacation Rentals is not huge, but growing. It’s inherit value is not in the quantity of homes it manages, but in the care it puts into each one and the level of service it offers every guest. You see, Brown follows a very simple rule in managing homes – call it the golden rule of property management. He manages each house like he would if it was his own. “What we always try to think of is if we owned the property, how would we want it managed,” said Brown, who – along with his business partner, Mike Robinson – brings decades of experience both owning and managing properties to the company. Jeremy Brown and Northridge Vacation Rentals will care for your home like it was their own. Northridge Vacation Rentals’ over-the-top focus on home care should come as no surprise when you learn about the company’s roots. The business didn’t actually start renting out homes until May of 2010. Before that time it focused exclusively on the home watch and home care side of its business, and it’s still a big part of their company. Since offering vacation rentals in 2010, the company has slowly expanded its inventory to seven Sandpoint vacation homes and condos, with more on the way. This level of inventory allows Northridge Vacation Rentals to offer exceptional service to guests and maximize each owner’s investment. As part of this “golden rule” philosophy, Brown makes every attempt to be transparent in his commission agreements with owners. He takes a “no surprises” approach to end of the month owner statements. As an owner with Northridge Vacation Rentals, you won’t see a bunch of extra fees. If you agreed to a certain commission level, that’s what you get. Owners are only included in additional programs, like paid marketing plans, if they expressly give their permission. It’s the way Brown would want it as an owner. Northridge Vacation Rentals also takes a different stance on restricting owners from staying at their homes. While some management companies reserve certain periods of time exclusively for guest reservations, Northridge is different. 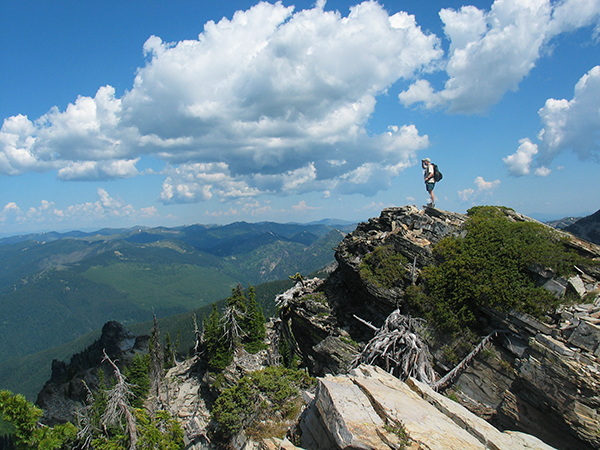 You'll feel like you're on top of the world hiking outside Sandpoint. The mountain ridges give you the opportunity to see three different states and Canada. Even with allowing homeowners to use their homes whenever they want to, Brown is still able to help them maximize their investments. One particular success story is when Northridge Vacation Rentals took on a property that was previously managed by a larger competitor and increased the owner’s income by more than 30 percent in the first year. It was an impressive feat, considering the first year managing a property is harder because you don’t have established repeat guests. Brown promotes a strict good neighbor policy. He knows that being able to rent out vacation homes and condos is a privilege that some other cities and towns in the United States are starting to take away. And, he knows the answer to keeping that from happening in Sandpoint is ensuring that his guests understand how to have fun while respecting their new neighbors. 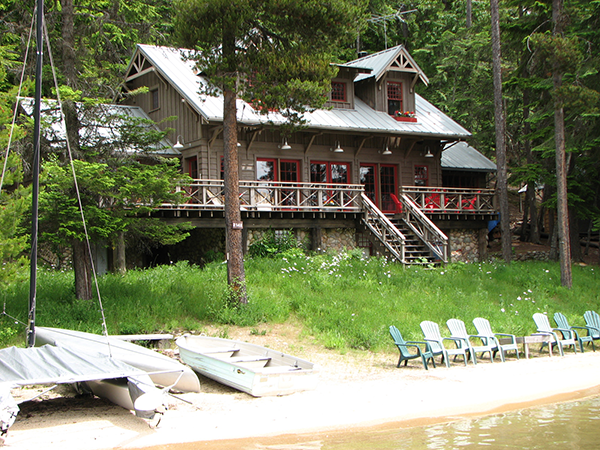 This waterfront home off nearby Priest Lake allows guests to enjoy the natural beauty of Northern Idaho. This philosophy has helped him gain favor (and business) from some of the condo and home owner associations in Sandpoint. And, because he’s earned their trust, Brown takes his job very seriously. 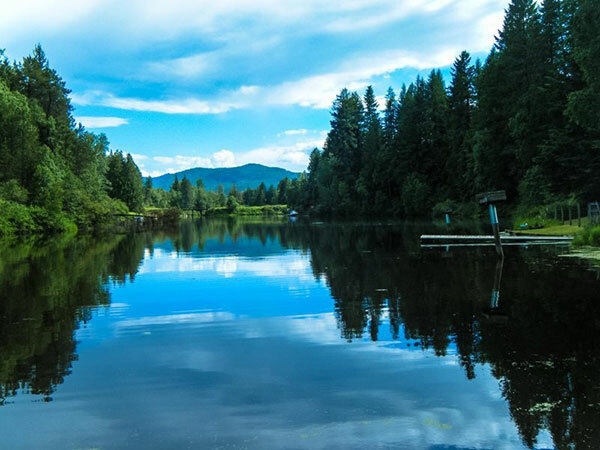 In addition to its small-town charm, Sandpoint and the surrounding area are home to some of the most beautiful landscapes in all the United States. It’s an outdoor wonderland, whether you’re enjoying the waters of gorgeous Lake Pend Oreille that sits adjacent to the town, hiking through the rugged terrain of Scotchman Peaks Wilderness, or experiencing the fresh powder at Idaho’s largest ski resort at Schweitzer Mountain. 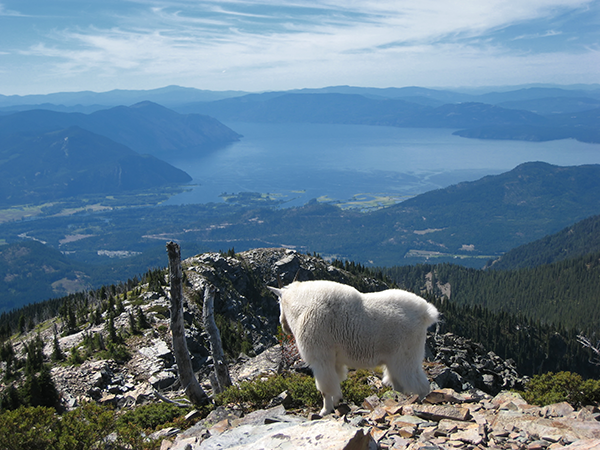 Nearby LakePend Oreille is 43 miles long and the fifth deepest lake in the United States at 1,150 feet deep. With the lake having been carved by glaciers during the ice age, it’s no surprise that majestic mountains seem to rise directly out of its deep blue waters. Sportsmen will be pleased to know that the lake is home to two of Idaho’s longest standing state records for the trout family. Nelson Higgins’ 32-pound record Dolly Varden has stood since 1949, and Wes Hamlet’s 37-pound Kamloops Rainbow Trout has stood since 1947. According to Brown, anglers are still pulling monster fish from the water of Lake Pend Oreille. In fact, he said the winning Rainbow in the most recent K&K Spring Fishing Derby weighed in at more than 18 pounds and the winning Mackinaw was more than 26 pounds. You're bound to run into native wildlife and breathtaking views hiking through Scotchman Peaks Wilderness. The lake is a beautiful site from atop the ski runs at Schweitzer Mountain Resort. But, it’s not the only thing you’ll see. 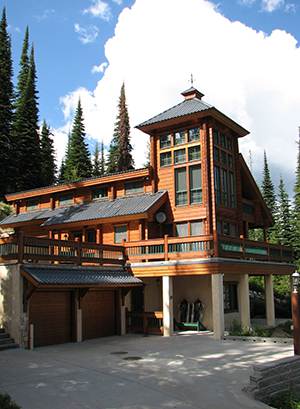 At 6,400 feet elevation, you can view three states, Canada, and three mountain ranges. In the winter months you can enjoy spacious runs, with more than 2900 skiable acres – even more than its world-renown neighbor to the southeast, Sun Valley. Sandpoint also offers a thriving arts community and boasts a wide ranges of festivals throughout the year. No matter the time of year, there’s truly always something fun to do in Sandpoint. “I think that we’re just really, really blessed that we get to live in such an amazing area,” said Brown, a third-generation lifelong resident of Sandpoint. 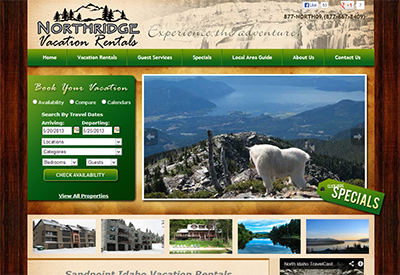 And if you’re planning a trip to Sandpoint, you should check out Northridge Vacation Rentals’ beautiful website, where you can book online – just like a hotel – 24 hours a day, 7 days a week. It’s filled with a wealth of information on the properties available through the company’s rental program, along with information on the area and on services the company offers owners. Another thing that is available 24/7 is Northridge’s vacation rental software. That’s an important detail for the company, because they pride themselves on responding to issues around the clock. When Brown and the team at Northridge Vacation Rentals first started managing vacation rentals, they stayed local, choosing Boise-based LiveRez. And now, nearing their three-year anniversary with the company they continue to jump on the new technology offered by LiveRez. They’re so plugged into their software that they even offer to beta test new features before they come out. One new piece of technology that’s really made a big difference is the LiveRez CRM system, which can automate the bulk of a company’s communications with guests and owners. And while Brown doesn’t have hundreds of properties to handle, he also doesn’t have a huge staff. The business is staffed by him, his business partner, Mike, and their wives. And, with the level of detail that they give each home and each guest, they don’t have time to sit in the office and do repetitive tasks. You can stay right on the water with Northridge Vacation Rentals. LiveRez has not only saved the company time, but also helped them grow their business and make more money. LiveRez’s world-class software helps Northridge Vacation Rentals offer world-class service, and stay competitive, even in the face of larger, more established competitors – a challenge not much different than the one LiveRez faced when it first started. So, maybe it comes as no surprise that the partnership between these two Idahoans has resulted in the growth of both businesses. But, isn’t that what a partnership is really about?